3DR has announced Site Scan, their software for aerial data aggregation for the cloud. Site Scan was developed to save money and keep workers safe when surveying tall building structures and dangerous terrain. 3DR cited that falling is the leading cause of construction-related deaths in the United states, averaging 349 people each year. Site Scan can bridge the gap between safety and quality that has plagued construction surveyors for years; satellite images keep workers out of harm's way, but their quality is often lacking. A drone with cloud-based 3D mapping in real time gets the best of both worlds. While this development is great progress for construction safety, how does this bad boy work? Site Scan has a Sony UMC-R1OC 20 megapixel camera that sits on an open SOLO gimbal bay, which allows it to maintain a steady shot even while zooming. The drone plans its flight path based on geotagged data uploaded to the 3DR cloud and the Autodesk Recap that is then processed into 2D maps, digital elevation models, 3D point clouds, and 3D mesh. After this data is processed, it is cross-referenced with other cloud systems for analysis. Once all of this data is compiled, the drone has a flight-path, and users can move and zoom the camera by swiping on a tablet screen. Below you can see a video of a drone with Site Scan in action. The whole kit is really expensive, and has several different packages. Unfortunately, it will be a while until this type of mapping software is available for hobbyists, but we can dream. 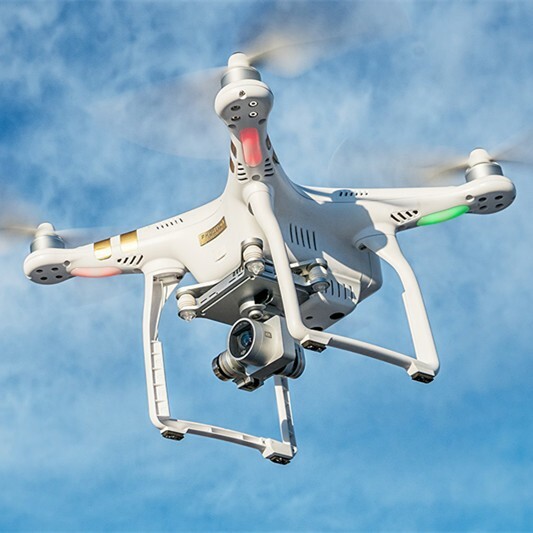 Drones with 3D mapping ability will see a rise in the commercial sector soon, however. Drones are already being used for agriculture, and will probably move into other sectors where manned vehicles and satellite imagery are less cost-effective. Google Maps is one thing that comes to mind, although a drone equipped with Site Scan is pricey, it's cheaper than paying for a car and driver, and can cover a lot more ground. Forest Services and mining companies can also make use of technology. We're sure that the most interesting use, however, has yet to be invented. After all, 3DR's Site Scan has an open platform with bays for additional accessories, and will have software updates as new analytics technologies come out. The realm of possibilities for Site Scan is vast, and we can't wait to see what you engineers come up with.